Based on the various opinions of technical staff across the clubs, and the necessary basis of research, here is a shortlist of men's west division players that have been recognized for their leadership and ability on the pitch - particularly during each club's difficult late season roster rotation. Simon Triantafillou - It wasn’t until the latter part of the League1 season that fans could observe a consistent run of playing time for Triantafillou. Since early August, the 17-year- old has played just about every minute in Sigma's campaign, and his contributions have not gone unnoticed; testament to his value comes from being handpicked by head coach Bobby Smyrniotis to represent a team stacked with talent on this respective list. Triantafillou made his Canadian youth program debut at 14 years of age at an ID camp, and this season the youngster has thus far played 488 minutes and made ten appearances. Ben Vyfschaft - Vyfschaft made occasional appearances for FC London in the early part of the season, but found much more consistency in its latter stages. He is aptly described as a youth prospect with goal-scoring prowess, and this idea is supported by his performances at the Provincial Elite U21 level, where he finished as the fourth top scorer with 11 goals in 16 appearances. According to head coach Mario Despotovic, the youngster's pace is a challenge for any defender, even in League1. Thus far, Vyfschaft has spent racked up 134 minutes in nine appearances, and club supporters would surely love to see the sharp shooter open his League1 scoring account in the west division title-deciding match versus Sigma FC on October 2. 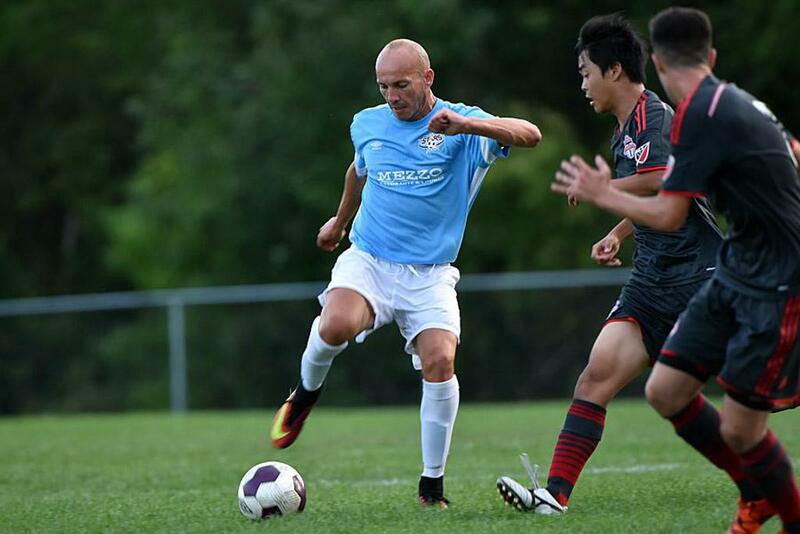 Cristian Dragoi - A player with professional experience in various European and North American leagues, the Stars welcomed Dragoi back to Windsor late in the season against the North Toronto Nitros. He returned the favour with a goal en route to a 4-1 win over the talented and well-organized Nitros. He scored another goal and led the Stars to a 1-0 win over Toronto FC Academy only a week later, leaving no doubt as to his quality and consistency. Dragoi has played in eight different nations, including Albania's Superleague and Italy’s Serie C. The midfielder maintains a warm relationship with the club, despite extended departures to play abroad: "The Windsor Stars have always been there for me," said Dragoi in 2014. Tristian Gayle - Gayle emerged as a mainstay to the Panther's starting line up in early August, part of the replacements for a contingent of players that had departed. The 18 year-old is well known to head coach, Rick Titus, having been coached by him since the U11 level. Titus, a former Trinidadian international, praised Gayle for his maturity and skill on the pitch. Thus far Gayle has played 643 minutes in nine appearances for North Mississauga, with several 90 minute performances in the last month. Dante Campbell - A talented piece in a puzzle of high-flying professional academy youngsters, Toronto FC's Campbell has shown remarkable consistency for head coach Stuart Neely’s side. He is fifth in the team for minutes played (1094 in 17 appearances), and ranks second in the team's goalscoring charts with eight goals. The Etobicoke native was a mere 14 years of age when he debuted for Canada's youth development program, graduating to represent the country at the 2015 CONCACAF Men’s Under-17 Championship. He also featured for Toronto FC II in the USL for one appearance in the 2016 season against Bethlehem Steel FC. It's no surprise that Neely has handed Campbell the captain's armband regularly throughout the League1 2016 campaign. 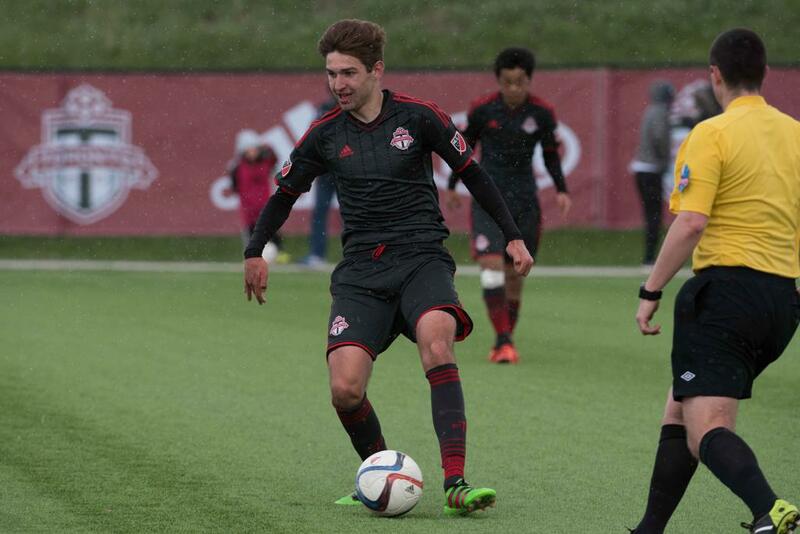 Marko Mandekic - The subject of effusive praise from head coach Stuart Neely, Mandekic is one to watch in the Toronto FC Academy for the remainder of the League1 season, and onwards. The midfielder started playing at the ripe age of four, and he is widely known for his vision, pacing accuracy and creativity on the ball. Evidence of this was clear in his contender for goal-of-the season versus Vaughan Azzurri, when Mandekic bent a free kick around the wall and into the top corner with his cultured left foot. Neely has stated that Mandekic "is a calming influence on the players around him and plays with ease and elegance. He is indeed a player to watch as we move along our developmental pathway." He's already showing up on some high-profile radar, having spent time at Croatian professional club Dynamo Zagreb in 2015/ 2016, and making his first appearance for Canada at a U18 development camp in October 2015. He also made this MLS top ten from the 2016 Generation Adidas Cup. 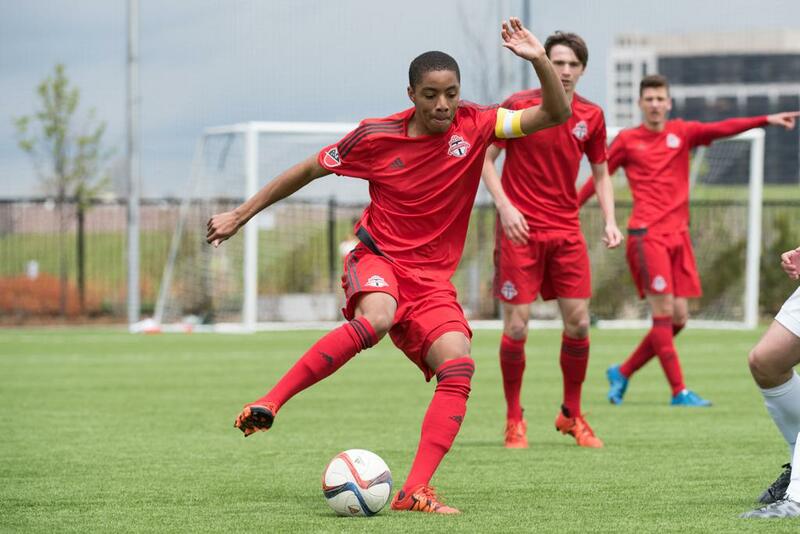 Parv Nagra - Nagra is a product of Oakville head coach Duncan Wilde’s previous U17 team at the Toronto Lynx. The prospect has been granted opportunities in the backline for the Blue Devils in the 2016 League1 Ontario season, and he made a quick impact. Nagra scored on his debut against North Mississauga on August 20, slipping through a flurry of defenders and converting with a coolness to belie his young age. 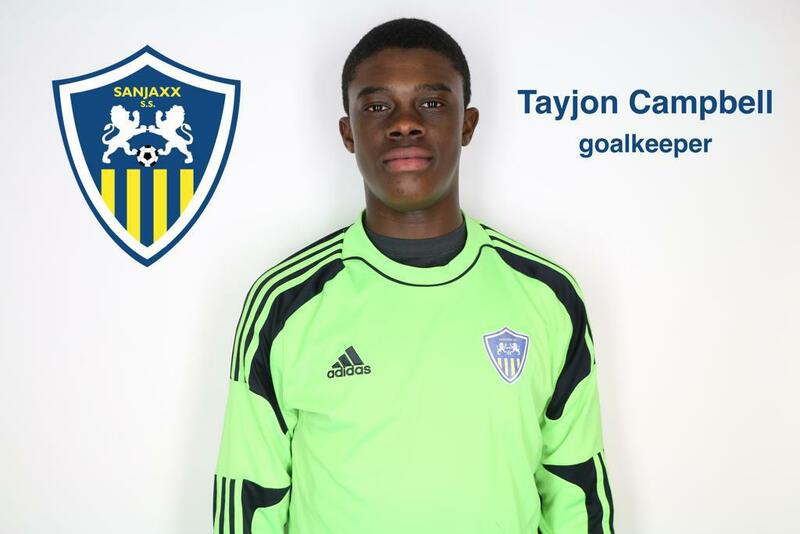 Tayjon Campbell – After the departure of All-Star keeper Matt Zaikos, the Lions have relied heavily on Campbell to fill the void. In the opinion of the Lions' coaching staff, and of plenty of neutral supporters as well, Campbell has done just that. He has started for all six of Sanjaxx's matches in the past month, and virtually stood on his head to help guide the Lions to an impressive 2-1 away victory over Oakville on August 18. Campbell is a youngster gifted with leadership skills beyond his years, and his efforts have been recognized at the international level as well; Campbell was invited to a Canada ID camp in October 2015 with coach Robert Gale. Courtney Mitchel Smith (a.k.a "CJ") - A massive restructuring was necessary at Pro Stars in late season, following a near wholesale departure of the squad, granting opportunities for a fleet of youth prospects such as "CJ." He is one of the core players from the academy’s youth development program, and represents the Pro Stars' next generation. CJ also earned himself the highly-coveted opportunity to train with TFC's pro academy after the opposition scouted him in league action. As such, Pro Stars technical director Josef Komlodi admits the club is likely to lose the favourable 18 year- old in the fall, but is glad to see such a bright talent make a natural career progression.